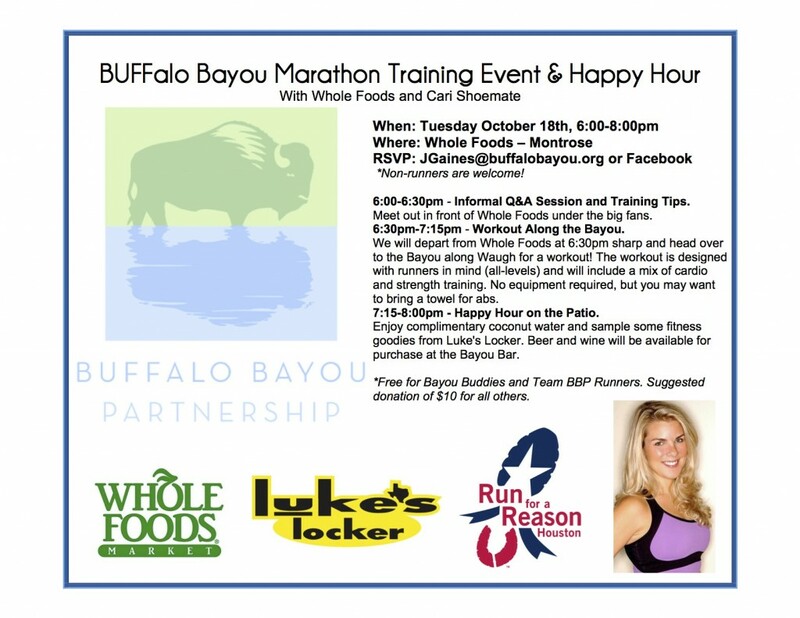 If you live in Houston – join me tomorrow night for a marathon training event at Whole Foods! However, you DO NOT have to be a runner or training for a marathon. Meet out in front of Whole Foods under the big fans. We will depart from Whole Foods at 6:30pm sharp and head over to the Bayou along Waugh for a workout! 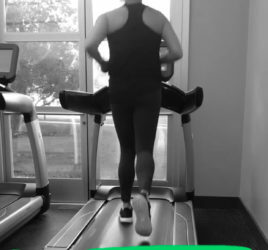 This workout will be for ALL-LEVELS and will include a mix of cardio and strength training and will be perfect for runners! No equipment required, but you may want to bring a towel for abs. Enjoy complimentary coconut water and sample some fitness goodies from Luke’s Locker. Beer and wine will be available for purchase at the Bayou Bar. Free for Bayou Buddies and Team BBP Runners. Suggested donation of $10 for all others. Donations will go to benefit Buffalo Bayou Partnership and their Run for a Reason campaign (Cari and others are running the Houston Marathon on their behalf).